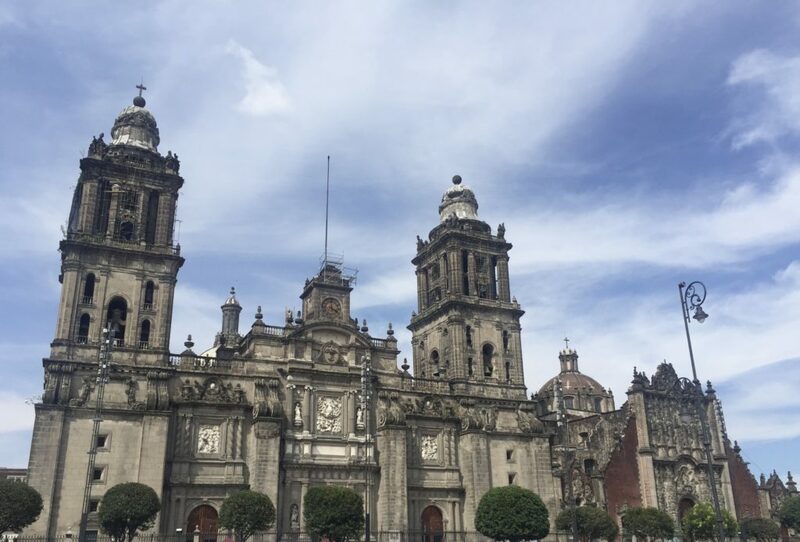 The largest metropolis in the Western Hemisphere, with a population of 22 million, Mexico City is indeed grand. Despite its size and what you may hear in the media, not once did we feel unsafe. Mexico City is mesmerizing. Incredible art, culture and food, but with a grit and unpretentiousness of Latin America that I love so much. It is undoubtedly one of the most underrated travel destinations in the world. While many travelers choose to stay in Paseo de La Reforma, Polanco or Centro Historico, we chose to stay at in an Airbnb in Roma Norte. 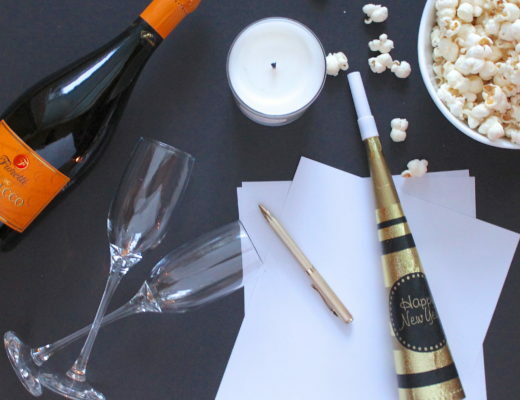 A local neighbourhood, that is trendy, safe and full of restaurants, bars and parks. 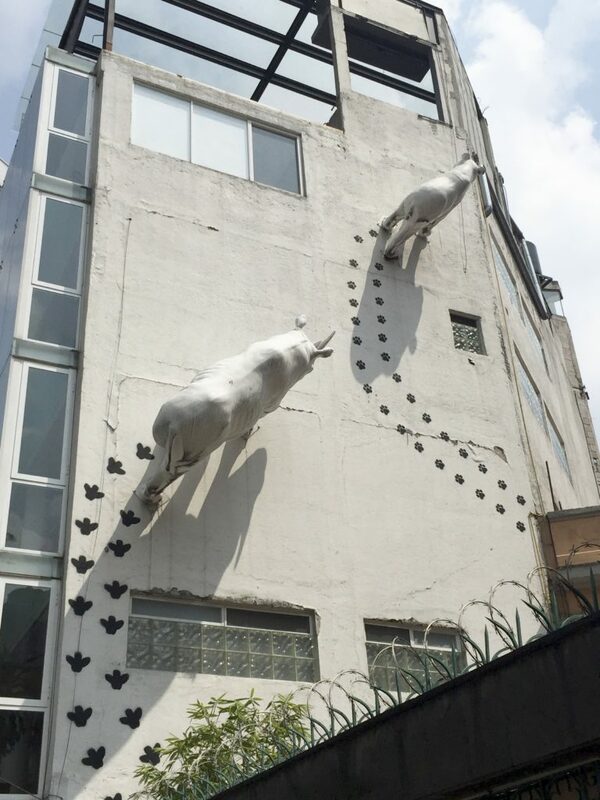 Roma Norte is also known for it’s incredible street art. One could spend hours walking the streets snapping photos of local artists works. Despite it’s incredible sprawl, Mexico City in general is very walk-able. With 150 museums, there are no shortage of ways to satisfy your craving for art and culture. 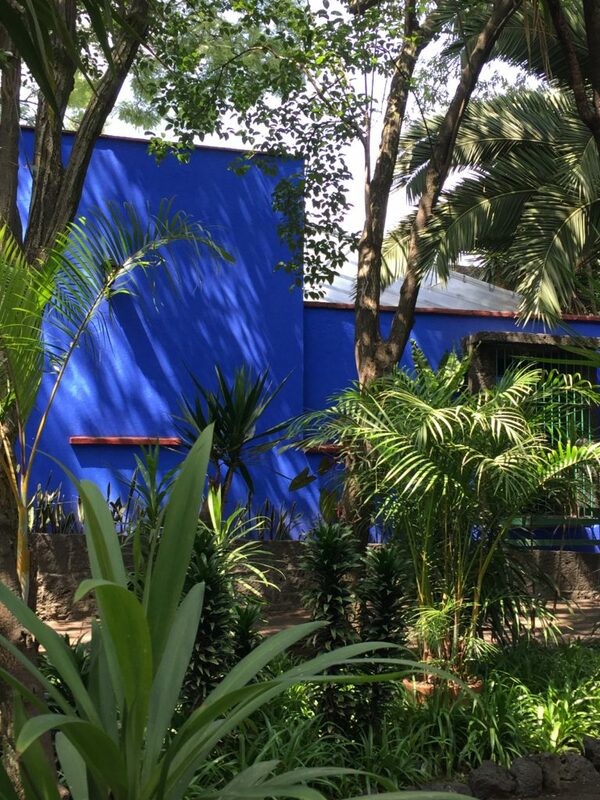 Top of our list was The Blue House (The Frida Kahlo Museum). I’ve always been intrigued by Frida for years, so ahead of her time, she challenged norms and ideals that I’m sure she’d be dismayed to know still need to be challenged. While many describe her art as surrealist, Frida herself rejected that label. Instead she described many of her most famous works as self-reflections and introspective pieces. It’s that very honesty and courage to explore oneself so deeply and publicly that draws me to her work. 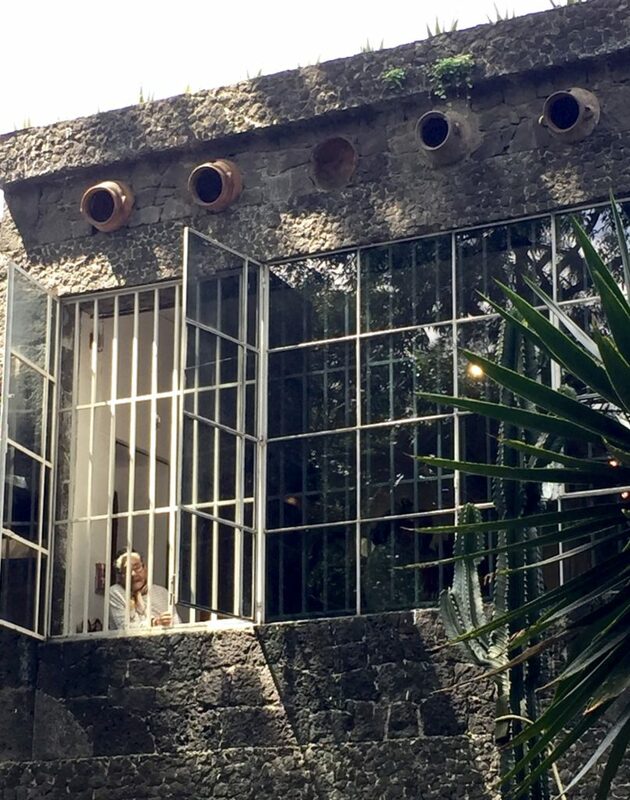 The museum itself is Frida’s home. Which is fascinating to explore. To imagine Frida living and creating in the space she shared with her husband Diego Rivera was such a treat. 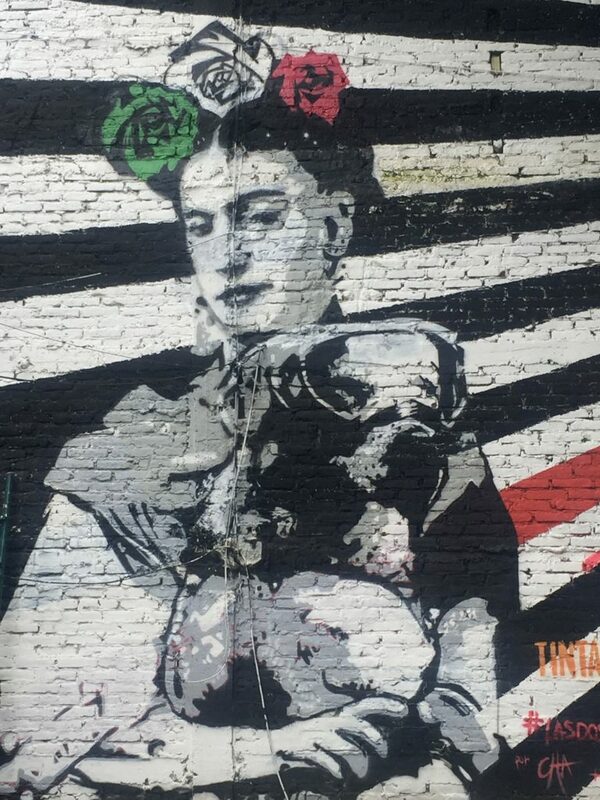 While many of the tourists you run into in other parts of Mexico City are Mexican tourist, the Frida Kahlo Museum was the first place we experienced many non-Mexican tourists … and a line-up. For Frida, I didn’t mind waiting. 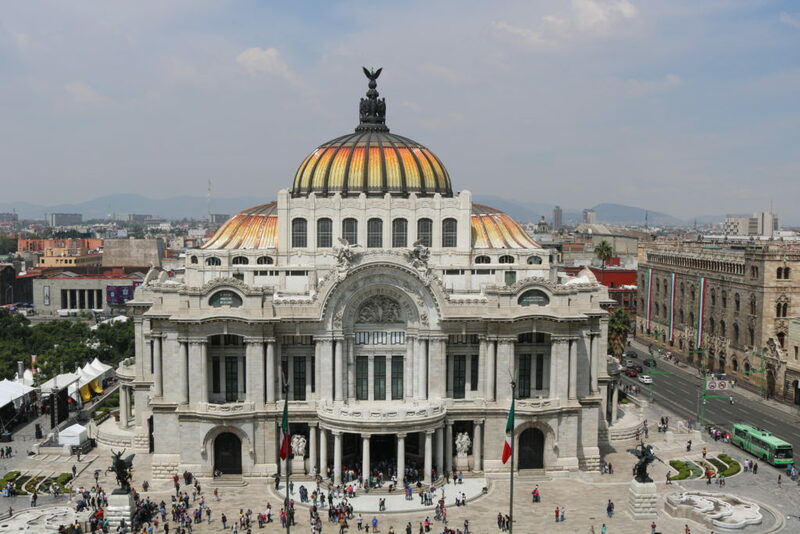 Other museums we visited were the Palacio de Bellas Artes (Palace of Fine Arts). 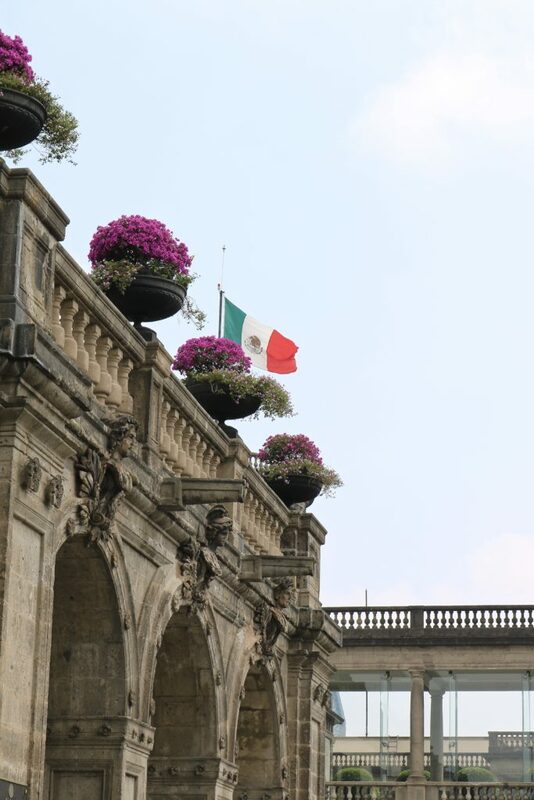 Perhaps the most iconic building in the city, it is considered the most prominent cultural center in Mexico City. The collection of art is indeed impressive, with a number of Diego Rivera’s pieces – who was an incredibly talented artist himself. Favouring Frida over Diego, embarrassingly I wasn’t familiar with his work or talent. This museum is worth a visit if only to experience the incredible Art Deco interior, complete with pink marble. If you’re looking for that impressive aerial shot of the Palace, head to the Sears building across the street and take the elevator to the roof top café. If there’s line, wait – the view and Chocolate Caliente are worth it. Before leaving this part of the city, head west on Madero Street. A (very congested) pedestrian only street that cuts through the historical center of the city and ends at the gorgeous Catedral Metropolitana. 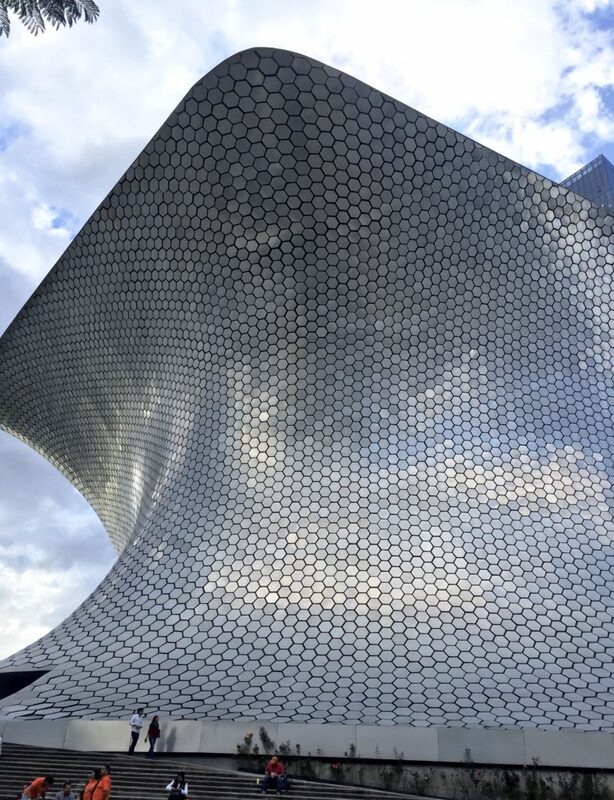 Museo Soumaya is perhaps the second most popular museum in Mexico City. A private museum and a non-profit cultural institution, it hosts over 66,000 pieces of art from 30 centuries, including artist like Rodin, Dali, Picasso, Renoir, van Gogh and many, many others. 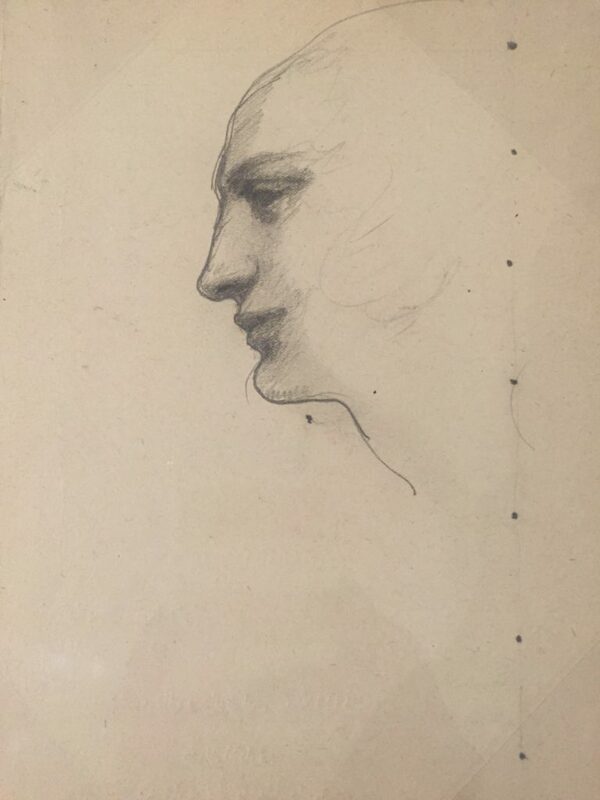 My favourite discovery here was sketches by Kahil Gibran, who I know as a writer and poet, but did not know as a visual artist. Such a treat to discover! Steps away from the museum is Loma Linda in Plaza Carso, with great views of the museum, it’s a lovely spot to end the visit with a cocktail. 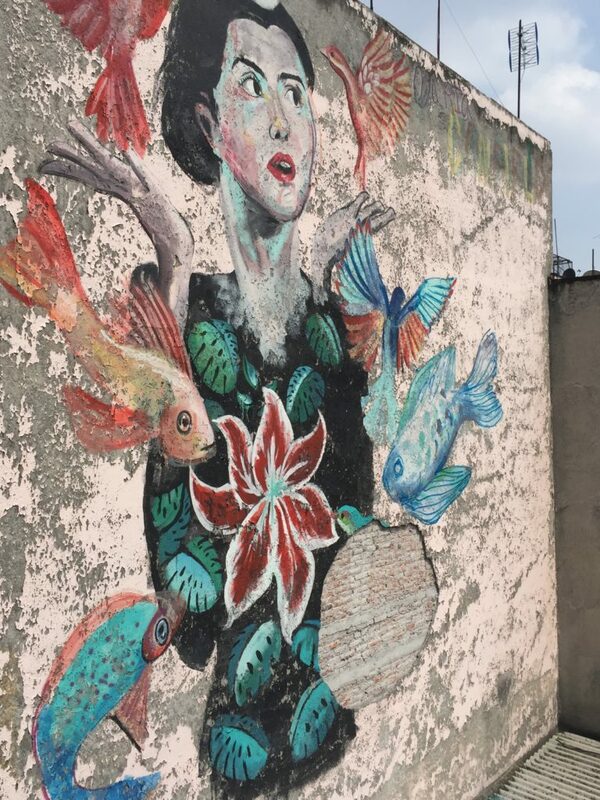 Other museums to consider adding to your itinerary include Museo Anahuacali (The Diego Rivera Museum), The Leon Trotsky Museum (who is rumored to have had an affair with Frida Kahlo) and the Museo de Arte Popular. 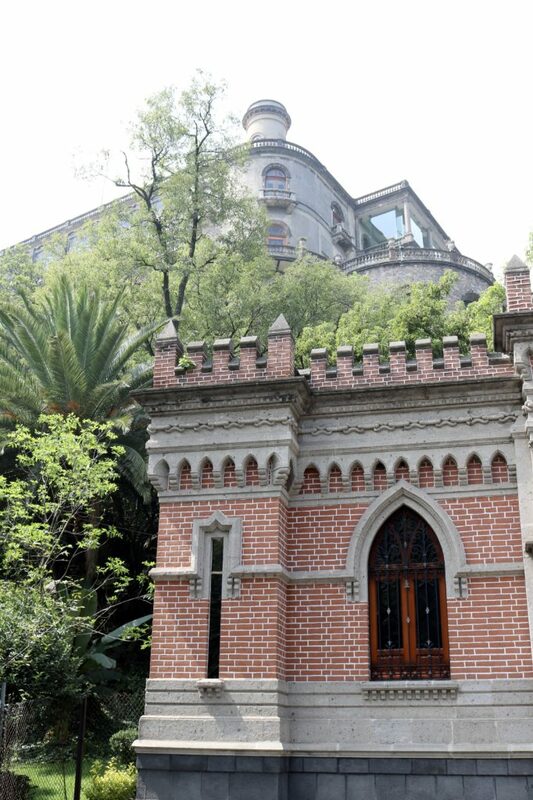 Equally impressive as its many museums are Mexico City’s various parks, considered the lungs of the city. The most popular of which is Bosque de Chapultepec. Over 600 hectares, the park is home to a Zoo, Botanical Garden, the Museo de Arte Moderno and perched atop a hill, Castillo de Chapultepec. A former imperial palace and presidential residence, it also houses the National Museum of History. It is the only royal castle in the Americas, so plenty of intrigue for a royal lover like myself. You can’t talk about Mexico City without talking about the food. From street food to taquerias to fine dining, this city has it all. If you’re a fan of Chef’s Table on Netflix, you’ll recall the episode on Pujol. 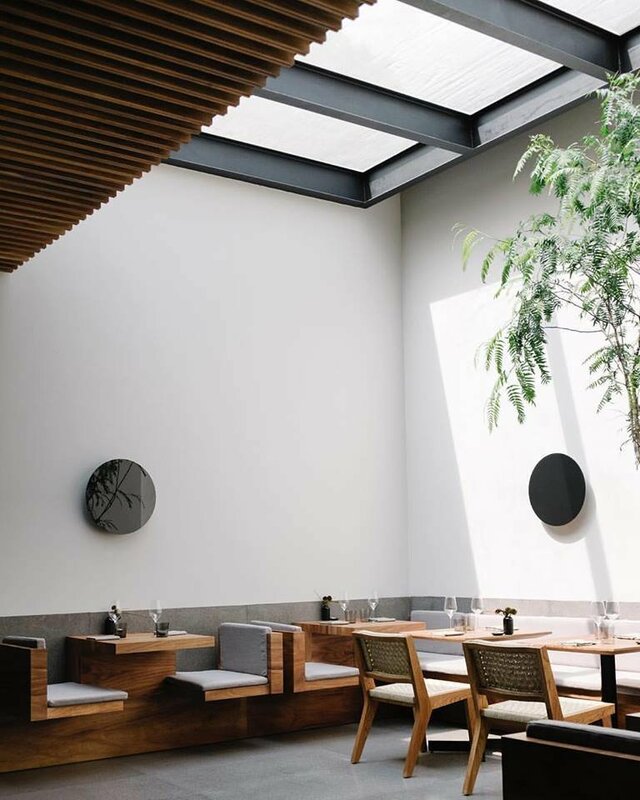 Enrique Olvera’s restaurant, rated as one of the 50 best in the world. I was anxious to experience it; afraid the hype would be larger than the reality. But like everything else in this city, it surpassed any expectation I could have had. We enjoyed an eleven course taco experience at the Omakase Taco Bar, inspired by a Japanese Sushi Bar. It was spectacular. Every course was unique and delicious, but if I had to pick a favourite, it would have to be the Cauliflower Taco and the most amazing Churro of my life. Fonda Finda a lucky find on our first night in the city was my second favorite meal of the trip. Warm and inviting, it feels like enjoying a meal in a family home, complete with clever design touches like clay cooking pots converted into light fixtures. Chef Juan Cabrera creates tradition-inspired dishes that are beautiful and absolutely delicious. 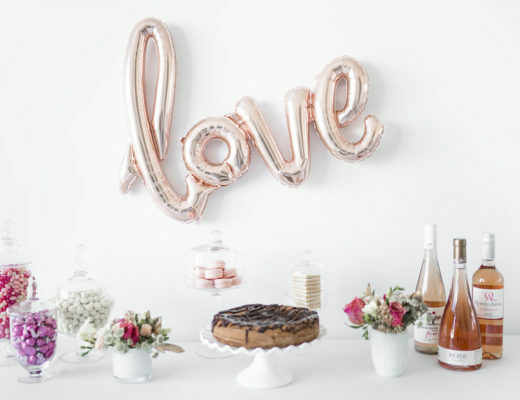 Other places to add to your list when in the city include Dulce Patria, a little kitschy and not as refined as Pujol, the food is a fun, playful, and colorful take on traditional Mexican dishes. It was here that we tried eating bugs – something Mexico City is famous for. My friend braved worms with her Mezcal, while I enjoyed grasshoppers in my salad. Both were crunchy and innocuous. I can check that box off my bucket list 😉 If you’re strolling through Condessa, stop in at the Hotel Condessa Rooftop Bar, it’s great place for an afternoon cocktail, Asian inspired snacks and unbelievable views of the city. Our favourite place for breakfast was Monica Patino’s Delirio, a beautiful gourmet shop and home to some of the best bread and people watching in Roma Norte. They do traditional Mexican and western style breakfasts to perfection. 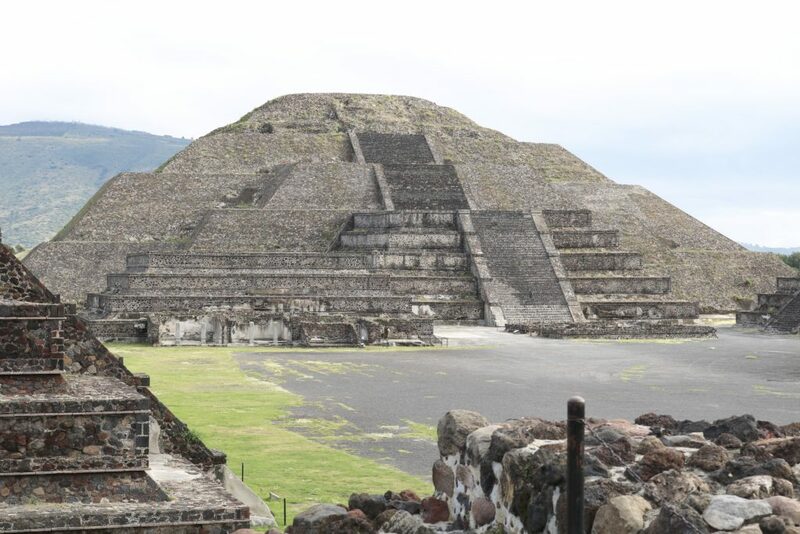 If you have a little extra time, a trip to Teotihuacán will not disappoint. Built in 100 BC, Teotihuacán was an impressively large city, home to some 200,000 people. The mystery of who these people where and more importantly where they went, is the thing of legends. Known for its two massive pyramids, Pirámide del Sol (Pyramid of the Sun) and Pirámide de la Luna (Pyramid of the Moon), the city was given it’s name by the Aztecs and translates to ‘place of the gods.’ Given the intrigue and enigma that surrounds the city, the name is fitting.